Being born into a Jewelery and Silver family who served the Royal Houses of England and Europe continuously since the 1700’s, it can be said, almost literally, that John Mappin was introduced to the preferences of nobility and luxury from an early age. Keen, however, to make his own way in the world, the teenage John Mappin and a friend sold silver balloons outside the famous London store, Harrods. Mappin enjoyed the interaction with people, and was quick to notice that after purchasing a balloon, people tended to walk away smiling. This set the tone for many of his future endeavors, which aimed at making people happy. Today one of the owners of the Camelot Castle Hotel in Cornwall, Mappin’s life took several turns on the way to this point. He was in the stockbroking business for a time, traveled to Hollywood in the US where he worked in the ﬁlm industry, mainly in ﬁlm distribution, and later set up a company selling story rights to producers of ﬁlms and documentaries. When John Mappin bought the Camelot Castle, together with his wife Irina and partner Ted Stourton, he actually set out to fulﬁll a dream. The three have a plan to create something special at the Camelot Castle Hotel – to bring together people from all ﬁelds of the arts at a centre that will elevate British art to a new level. Located in Tintagel, Cornwall, and steeped in the history and atmosphere and King Arthur and the Knights of the Round Table, the location lends itself perfectly to this cause – it is both tranquil and inspiring. 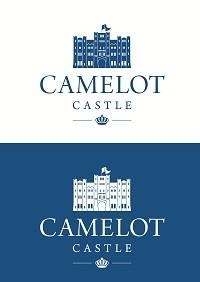 Mappin, a well-known patron of the arts, and partner Ted Stourton, an artist and creator in his own right, have fast brought the Camelot Castle Hotel to one of the UK’s most popular hotel. In addition to many famous guests that have stayed at the hotel from all walks of life, including, among others, Sir Winston Churchill and Ava Gardner, the hotel offers a unique artist in resident program, whereby artists can stay at the hotel free of charge. One of the hotel’s highlights is Ted Stourton’s Light Box, a creation in which the viewer experiences light in a new way. The Light Box has been described as “sheer beauty and magic” and something not to be missed. John Mappin is also something of a media mogul and owns a newspaper group in London that publishes a number of local newspapers. Mappin is a strong advocate of true and unbiased reporting and, in line with his attitude of trying to make people happy, a ﬁrm believer in promoting positive news items that are encouraging and heartening for his readers, rather than slanted or discouraging news items. As an independent publisher, Mappin tries to spread a message of universal peace and inner tranquility through his newspapers. With the acquisition of Camelot Castle, John Mappin may have fulﬁlled a dream – but he still has more dreams. He would like to establish a chain of mythological hotels around the world, offering superior service while spreading a message of tranquility and hope. Many people say that they want to change the world – John Mappin’s actions are evidence of his intentions.edit.